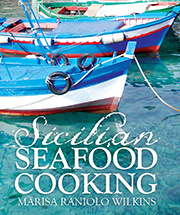 I love your pasta con sardi which I first came across in the book Sicilian Seafood Cooking. Simply FYI, wild fennel grows rampantly adjacent to the Wonthaggi (Victoria) Transfer Depot (aka the dump) 4km from town, a legacy of the Italian miners who dug coal from the local coalfields. It’s still available now (Feb 2019) and occupies a field about 50 metres square. Just beautiful to see, and pick and use. Was reminded of your recipe when reading John Lethlean’s column in the Weekend Australian magazine today (23 Feb 2019) and his version of this dish – and that the colour photo of your pasta con sardi in the book gives this wonderful dish the glory it deserves. Hi Michael, what an uplifting comment about the Pasta con Sarde. Thank you. Sorry I have taken so long to reply, I have been quite occupied and had not looked at my blog. Thank you for the tip about wild fennel. 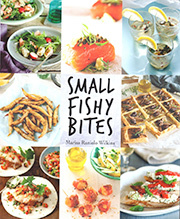 I do collect it in season and keep some in my freezer – it comes in handy. Another friend wrote to me about going to Orso,that restaurant in Adelaide…i am assuming that John Lethlean’s article is about that restaurant. Thank you once again.